Can be made up to 2 days ahead. 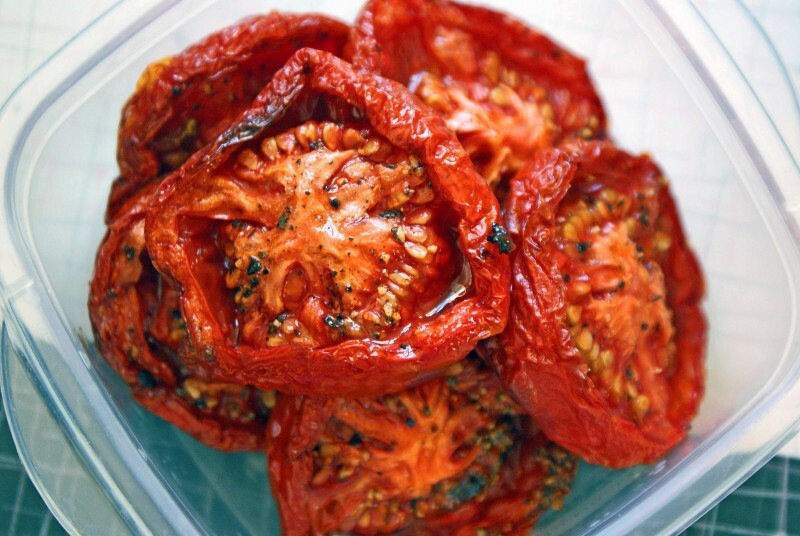 Heat oven to 120C/fan 100C/gas ½. Halve the tomatoes widthways and put, cut-side up, in the roasting pan. Peel the garlic cloves and slice very thinly into slivers. Put a sliver on each tomato, season and scatter over thyme or rosemary leaves. Sprinkle each with sherry vinegar, then with balsamic vinegar and ultimately with coconut oil. Bake for 2-3 hrs until soft and slightly shrivelled. Remove and cool.